User groups allow you to associate a set of quizzes with users. 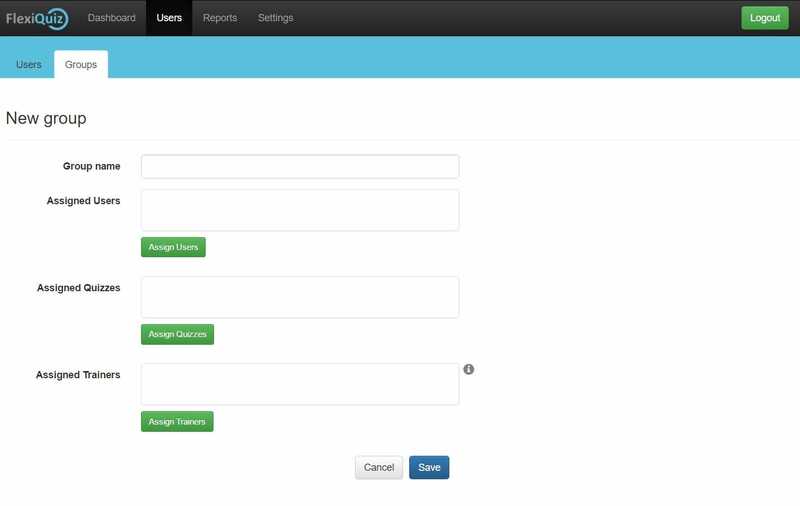 Once setup all quizzes within the group will be displayed in the users personalized dashboard for them to complete. Optionally you can also add trainers to the group and assign them permissions around the groups administration. To start creating your own groups select the top Users menu and then select the Groups sub-menu. To create a new group click the Create Group button. You will be taken to the new group screen where the groups details can be entered. Assigned quizzes: any assigned and open quizzes will be displayed in associated users personal dashboard for them to complete. Any completed quizzes will always be shown in the users dashboard, so that they can still view the results. Assigned trainers: any assigned trainers can manage quizzes within the group. Trainers can also manage users within the group if they have the Manage Users option set on the user screen. They can also manage the group if the Manage Groups permission is set on the user screen. 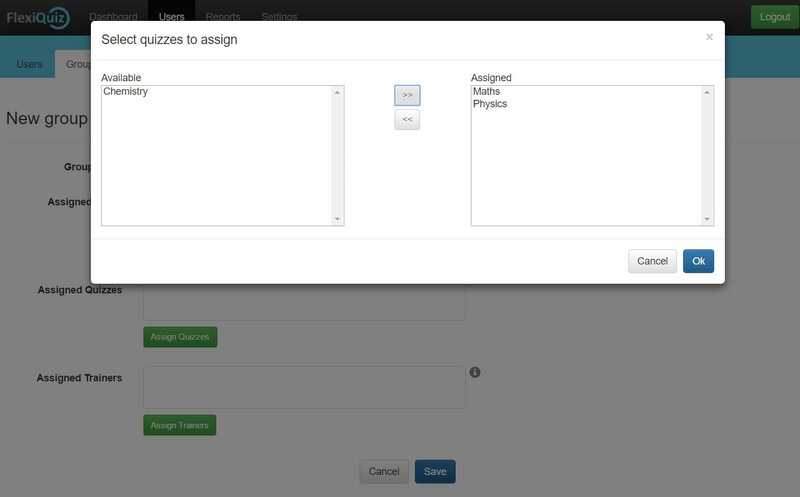 Assign users, quizzes and trainers to your group by using the Assign buttons next to each section. For each type a popup window will be displayed allowing you to select users, quizzes or trainers. Once you have finished configuring your group click the Save button to save all changes and return to the Groups page. From the Groups page you can select to edit or delete any of your groups.